Dual Headset Holder: Hold two sets of headphones at the same time, keeps your headphones out of sight and easy to reach. Save Space: It’s about 3.54 inches length, 0.98 inches width, 1.57 inches height. The headset holder holds the headphones properly keeping them up off the desk and not being thrown everywhere. 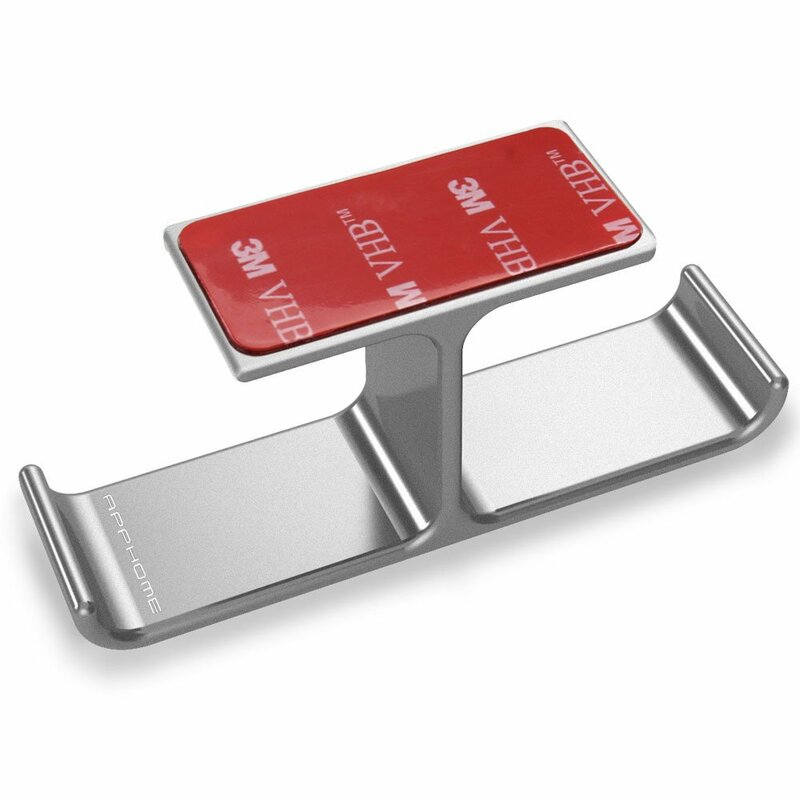 Double Methods to Install: The headset holder holds firmly under your desk with our 3M adhesive, or you could mount with screws for extra strength and security if you desire. Durable Material: The headset holder made of sturdy aluminum alloy, can withstand the weight of a variety of headphones. 18-month Warranty: APPHOME Headset Holder includes an 18-month worry-free and friendly guarantee. Also you will get an Extra 3M adhesive and two of Screw.